Mick (Masaki) Sawaguchi graduated in 1971 in electronics from the Chiba Institute of Technology in Tokyo and joined the Broadcasting Engineering Department of NHK (Japan Broadcasting Corporation) as an engineer in the sound section. Mick became one of the earliest overseas members of the Institute of Broadcast Sound when he joined during an exchange visit between NHK and the BBC in 1991. By this time he was already a highly respected figure, both within NHK and in the Audio Engineering Society (AES), having been an officer in the Japanese section since 1989. Mick worked as a sound designer and mixer in the NHK Drama Production group for 35 years, retiring as a Director of the Production Operations Centre of NHK’s Broadcast Engineering Department in 2005. His outstanding work as a mixing engineer was recognised by the award of several prizes for Best Sound in Television Drama Programmes in Japan at the annual Festivals of Art in 1986, 1990 and 1996. NHK is one of the world’s leading proponents of surround sound, in both television and radio, and Mick has been at the forefront of developments in the technique and practice of recording, mixing and broadcasting surround. 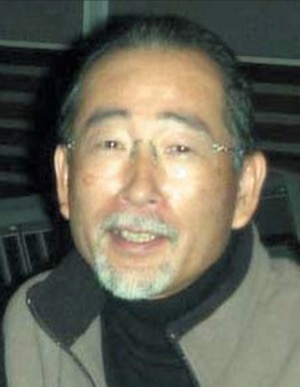 His work at NHK included studying and developing various surround sound mixing techniques used in broadcasting productions, and organizing training seminars in multichannel audio techniques. At IBC99 the IBS organized a mini conference on the subject of Surround Sound for Broadcasting and the Institute was very fortunate that Mick was able to participate with a stunning presentation of some of NHK’s experimental radio drama productions. This was not Mick’s first time at IBC, though, as his HDTV Dramas Last Bullet and Bus forTow received IBC Nombre d’Or awards in 1995 and 1997 respectively. Mick has contributed to many AES Conferences, presenting several papers on surround sound mixing and microphone techniques, and is a Vice-Chairman of the AES Studio Practices and Production Committee. In 2002 he was awarded a Fellowship of the AES for his outstanding contributions on surround sound recording and mixing for broadcasting. Other awards include ABU Best Paper in 2004 for surround broadcasting program production, Surround Master by JAS in 2005 and an AES JAPAN award in 2009 for his contribution of Surround Terakoya activity. Following his retirement from NHK in 2005 he set up Mick Sound Lab, which has been recording and mixing http://www.hqm-store.com UNAMAS-JAZZ and UNAMAS-HUG Label. He also maintains (since 2002) a private surround workshop, http://www.surround-terakoya.jp SURROUND TERAKOYA and takes surround design classes at TOKYO University of Art and TOKYO-TEC (“For next generations” as he says).